It’s wine o’clock every Tuesday at Golden Gate! 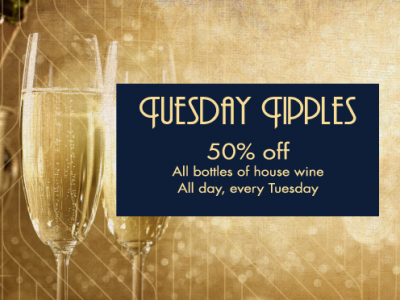 Receive 50% off all bottles of house wine, all day, every Tuesday. Get your friends together & book now!